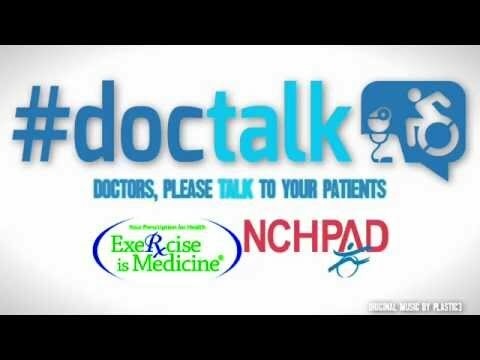 DocTalk features doctors talking about the importance of prescribing physical activity to patients with disabilities. It is encouraged to prescribe specific amounts of physical activity in alignment with the Physical Activity Guidelines for Americans. Doctors should ask about physical activity, discuss barriers to physical activity, talk about options to be active, and refer patients to resources to get started. Check out the videos to learn more about this campaign and encourage healthcare providers to take the pledge to talk about physical activity at www.nchpad.org/pledge/doctalk. Use #doctalk in your conversations on social media!